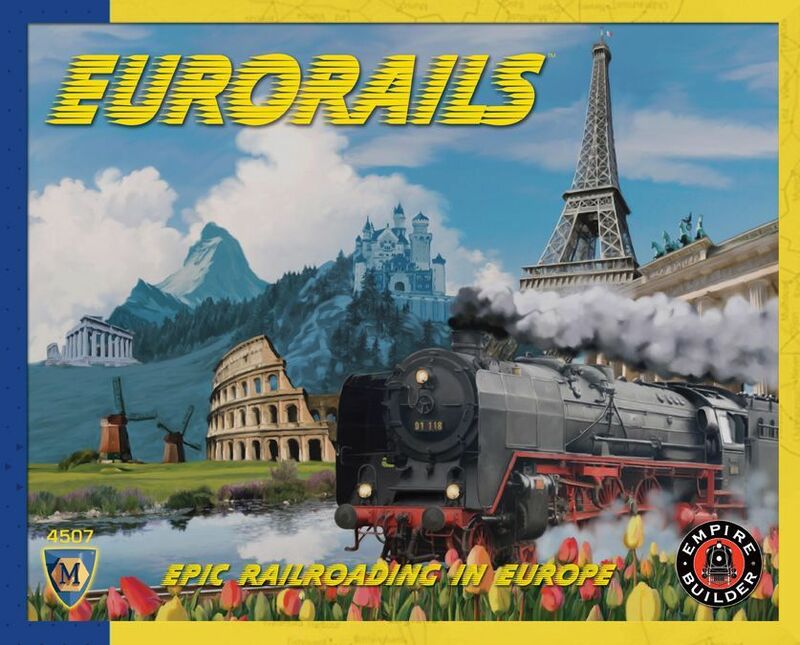 Eurorails is another entry in the Mayfair Games crayon rail games, like Empire Builder and India Rails. Its puzzle-piece board forms a map of Europe broken down into dots. Players use different-colored crayons to draw rail from dot to dot, building their rail system. A large deck of cards is used to determine how much money will be generated by picking up a particular commodity and delivering it to the listed city, with the payoffs being related to how far away the source is from the destination. As players generate more money, they build successively larger and more comprehensive rail systems, hopefully connecting to almost all the major cities. The goal of the game is to generate a set amount of money once you've linked all the major cities.